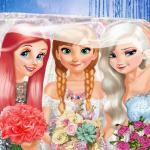 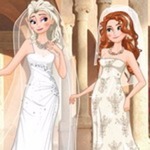 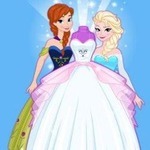 Aha, there are two brides, because it's a double wedding, the brides are sisters Elsa and Anna. 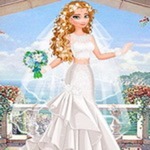 The wedding will begin right now, but the brides are not dressed yet, come to help them! 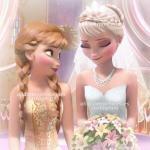 Please pick out wedding dress, shoes, veil, bouquet, earrings, necklace, all the things they need. 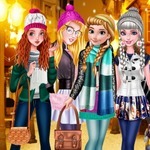 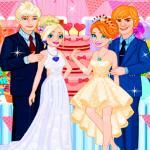 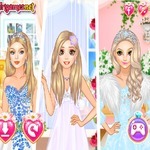 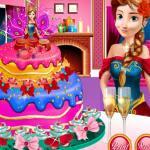 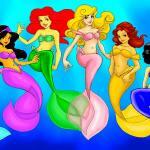 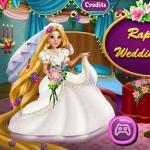 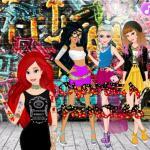 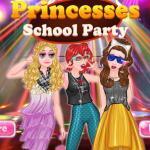 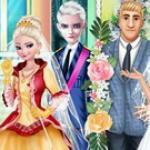 Play the game Princesses Double Wedding on mobiles and tablets. 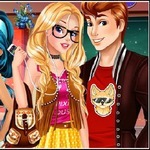 No downloads or plug-ins needed, enjoy!